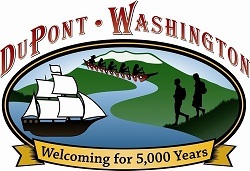 Is the City Council of DuPont, WA making informed decisions? NOTE: You can download this presentation from the City of DuPont website [PDF]. If we deem the entirety of the other information on this slide and the explanation given by Mr. Marcotte to be accurate, it would be reasonable to expect that the math calculations shown to be accurate. Sadly, they are not. It appears that the City has understated the property tax levy rate by $0.0209 (1.2295 – 1.2086), or 1.7% of the actual rate that results from using the formula in the presentation. The difference between these two rates represents a difference of $24,568 if we assume the Total Assessed Valuation figure to be accurate. I would like to know why the math formulas on the presentations do not appear to be accurate. Example 2: How Much Does A Fireman Cost? When the City of DuPont asked the citizens of DuPont to vote for Prop 1 during the recent election cycle, we were told that it would cost us $300,000 to keep the three SAFER firefighters, or $100,000 per firefighter. According to this presentation, a firefighter costs the City of DuPont $63,669 (254,677 / 4). If it would cost us $300,000 to keep three firefighters, how does it only save us $254,677 to get rid of four of them? It might be useful for the City to give us a single figure that can be backed up with math. What is the cost of a firefighter in DuPont, WA – $63,669 or $100,000? Why is there a 57% difference in the cost to hire versus the cost to fire? The above are only two of many examples where the numbers provided by City staff don’t appear to add up. What concerns me most is that our City Council and Mayor are going to rely on these facts and figures to craft our 2013 budget. If I am alarmed by these types of holes in the materials provided by our City staff, I hope warning bells are going off in their heads as well. To be clear, I assume there is a logical explanation that will show that my misgivings are unfounded. I assume there is a reason that the simple arithmetic of the Property Tax Calculation does seem to work, and I assume there is a perfectly reasonable explanation why it costs $100,000 to keep a fireman, but only saves us a fraction of that amount if we let one go. This entry was posted on Sunday, November 18th, 2012 at 00:50 and is filed under Featured. You can follow any responses to this entry through the RSS 2.0 feed. You can leave a response, or trackback from your own site.